Say goodbye to your afternoon productivity (assuming you had any to begin with) because we’ve stumbled across another of those “Find The Footballers” picture quiz things. 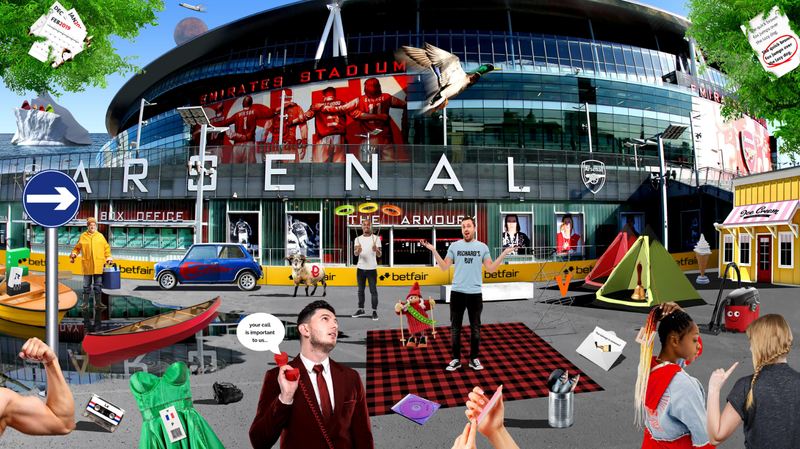 All you have to do is find the 30 Arsenal players past and/or present cryptically hidden in the image below and you will be entered into a Betfair random prize draw to win one of three signed Gunners shirts. Follow the link to the full Find 30 quiz, start flexing that grey matter and enter your answers in the box provided. Full instructions are provided should you need them. You must be over 18 to take part. Also, every correct answer found affords you another entry in the aforementioned prize draw so it’s worth going for a full house. Best of luck and, once again, apologies for ruining what was a fairly pleasant afternoon.